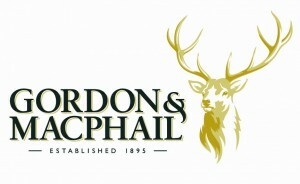 Whisky specialist and wine and spirits merchant, Gordon & MacPhail, claims that implementation of BCP’s Accord Voice WMS at its warehouse operation in Elgin, Scotland is successfully handling its complex requirements and delivering improvements across the whole operation, including productivity increases of 50%. 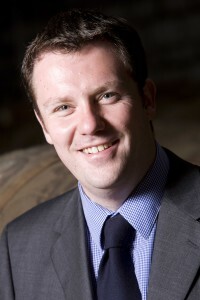 The family owned and managed firm of Gordon & MacPhail is located in Elgin, Scotland. The iconic retail shop on South Street still thrives today on the site where the business began in 1895. Since those early days the company has grown significantly and has business interests as a bottler, exporter, distiller, and wholesaler. 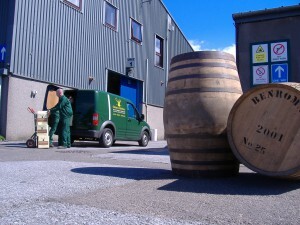 Gordon & MacPhail owns Benromach Distillery on the outskirts of Forres. Established in 1898 the distillery went through many changes of ownership and closures before being ‘rescued’ by Gordon & MacPhail, who purchased it in 1993. The distillery was extensively re-equipped over a five year period before it was officially opened by HRH Prince Charles in 1998.g them throughout the UK and exporting to more than 50 countries worldwide. Finally the company is one of the UK’s leading independent specialist wholesalers and distributors, stocking over 4,500 products, including an extensive portfolio of wines, spirits and UK specialist beers and ciders. “The main driver for bringing in a Voice system for our business was looking at excellence of service within our wholesaling operation” explains Neil Urquhart, Gordon & MacPhail Director of Logistics & Facilities, who headed up the project.” The company was using a paper based system in the warehouse and looking to modernise, improve efficiency and visibility and to have the capacity to effectively handle future growth of the business. The system has also allowed simplification and streamlining of administration behind the scenes and reporting on all the orders that have left the business so that Invoicing can be done promptly to improve cash flow. Savings on paper costs alone are running at £2,000 a year. Staff have really bought in to the system and user acceptance is very high, illustrated recently when the company asked the acid test question ‘if the Voice system was switched off would you like to go back to paper?’ The answer was a categoric ‘No’. Not only does the system help operators work more efficiently and more accurately, but it means new staff and temporary staff can be trained and picking orders much more quickly than with the old paper based system, “while the visibility that comes with the system means it is easy to monitor operators to ensure they understand the system, measure their work rate and accuracy – all extremely beneficial,” says Urquhart. With the system well bedded in the company is now looking at how it can take on more of the functionality within it in order to make full use of its investment.